Your car is drifting to one side. Your steering wheel is not centered when you are driving straight. Check your owner’s manual to see when your car manufacturer recommends having an alignment. Everyday driving can result in a needed car alignment for vehicles in Burke, VA. With normal driving, your car’s suspension can become worn and springs stretched out. A small accident or bumping a curb can knock highly calibrated components off kilter, which can disrupt your suspension making your wheels sit at improper angles. A car alignment will restore these angles to the correct measurements so that your wheels sit straight. 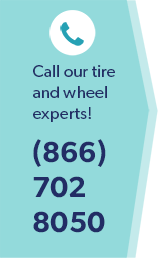 Having a proper car alignment for your Burke, VA vehicle can save on tire wear. Tires can be quite expensive so anytime you notice something is not quite right, have your car’s alignment checked at your Burke, VA local automotive center. A car alignment by your Burke, VA mechanic will greatly benefit you so that you are not wearing tires out, making it a cost-effective procedure which should be part of your regular car maintenance. Ensuring that your car drives straight and handles the road safely can depend on your car’s alignment. You will also get better gas mileage when your tires are properly aligned with the road. The type of car alignment you receive depends on your car’s suspension. A four-wheel alignment is for all- wheel drive or front-wheel drive vehicles with independent or adjustable rear suspensions. Both axles need to be aligned, so all four wheels align in a rectangle and are parallel to each other and perpendicular to the ground. If you do not have an all-wheel drive or front-wheel drive vehicle, most likely, you will require a front end alignment which only the front-axle components are adjusted. This thrust-angle alignment refers to the angle that a car’s rear wheels point relative to the car’s center. The rear wheels and axle are aligned, so they are parallel with the front axle and perpendicular to the center line of the car. If you are experiencing a steering wheel vibration or your vehicle is pulling to one side, save the wear on your tires by taking your vehicle to your local automotive repair shop in Burke, VA for a car alignment.